The Concert & Parade for Fair Food will be in the beautiful coastal town of St. Petersburg, Florida. After a 3-mile parade through the city, the Concert will be at Vinoy Park, home to the annual Blues Festival and the national Warped Tour. The parade and concert will be framed by large-scale murals and other artwork, created collaboratively by visiting artists and farmworker members in the weeks leading up to the event to capture the hope and dignity at the heart of the Fair Food movement. CIW allies are planning buses and caravans from all over Florida and the US and fundraising to make them possible. Spread the word about transportation from your area, and sign up now to reserve your spot! If you can’t join us, consider donating to make possible transportation for others. If you don’t see your area listed, begin your own caravan! Email organize@allianceforfairfood.org for support. Register for your spot on the Orlando bus! Where to fly in: If you’re flying into Florida, please book flights into Tampa International Airport (TPA). If you fly into any other location, we cannot guarantee transportation to and from the airport. When to arrive and depart: We strongly recommend booking arriving flights for the evening of Friday, March 20 and departing flights for the morning of Sunday, March 22. Shuttles to and from the Tampa airport will be provided on Friday, 12pm-12am; Saturday, 7-11am and 9pm-12am; and Sunday, 6am-3pm. Confirmation: Once your flight details are confirmed, please e-mail your itinerary to organize@allianceforfairfood.org. Free housing: The CIW is working with Eckerd College (4500 54th Ave S, St Petersburg) to arrange free floor space for participants traveling long distances for the nights of Friday, March 20th and Saturday, March 21st. Showers: Showers may be available a 15-min drive away. What to bring: If you plan to stay with us overnight, please register and bring a sleeping bag. Home hospitality: If you would like to stay in a bed, email organize@allianceforfairfood.org to arrange nearby home hospitality. Arrive at Bartlett Park (2000 7th Street S. St. Petersburg, Florida 33705) by 11:45 AM. Drivers will drop off passengers at Bartlett Park, be given a parking pass and directions, and proceed to Vinoy Park for designated concert parking. A free shuttle will take drivers back to Bartlett Park for the beginning of the parade. Solo drivers should also come to Bartlett Park to receive directions and a parking pass. Concert-goers can park in several designated city lots less than a mile from the concert venue (see map below). The city provides a free shuttle route (marked in yellow) between the lots and the concert venue at Vinoy Park. We advise arriving at least 30 minutes before the start of the concert to allow for shuttle time. Like many of history’s most powerful grassroots movements for change, the movement for Fair Food has been driven by art and music. Theater, music, murals, and puppets rooted in the diverse cultural traditions of the Fair Food Nation have always brought its message to life. Art animates the struggles farmworkers face in the fields and articulates their demand to work with dignity. On Saturday, March 21, the Fair Food Parade will once again fill the streets of St. Petersburg with the art and creative spirit of the CIW’s Campaign for Fair Food. Following the Parade, farmworkers will gather with thousands of allies from across the U.S. for the first-ever Concert for Fair Food, harnessing the power of music to spark the consciousness of consumers and amplify the call for Publix and Wendy’s to finally recognize their responsibility to the people who harvest their produce. Featuring Grammy-winning and nationally-recognized artists, the Concert will raise the Campaign for Fair Food’s message to new heights. Our tradition of creating powerful images and spirited soundtracks to illustrate farmworkers’ calls to action has already brought about extraordinary change in the movement for farmworker justice. In the early days, the Fair Food Nation’s creativity manifested as massive Chihuahua puppets or as a tomato picker Statue of Liberty. 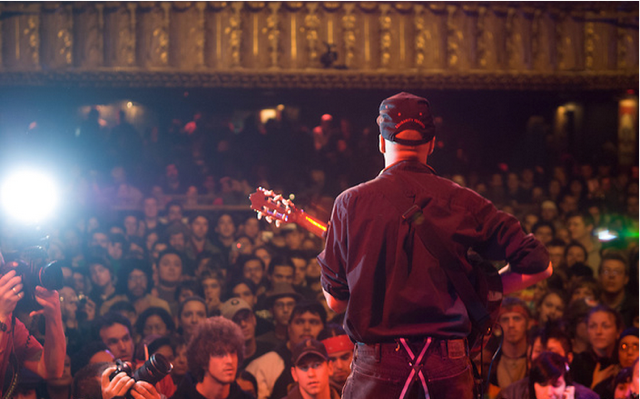 In 2007, CIW drew thousands to the Chicago House of Blues to celebrate the surprise victory of a Fair Food Agreement with McDonald’s. The energy of these creative actions not only brought major corporations to the table with CIW through public pressure, but also helped form the bedrock of consciousness and commitment that drives our national network of allies. Today, after over a decade and a half of the Campaign for Fair Food, farmworkers in Florida’s tomato fields work under the Fair Food Program, a groundbreaking human rights model that guarantees their right to work free of abuse. Farmworkers, retailers, and growers have transformed the agricultural industry into an environment founded on respect, safety, and greater economic security. Today, the tens of thousands working in the tomato industry are ensured a zero-tolerance policy for slavery and sexual harassment, the provision of shade, water and health protections, and the right to report a complaint without fear of retaliation. More than $15 million has been distributed to farmworkers’ wages through the “penny-per-pound” premium, signifying the first real wage increase for farmworkers in over 30 years. In the words of one of the workers in the Fair Food Program: “Our dignity has been restored.” And 2015 is promising to be a momentous year for the Fair Food Program, with preparations for expansion from the Florida tomato industry into new states and new crops already underway, with the capacity to have an impact on the lives of tens of thousands more workers. Although the immense buying power of thirteen retail food giants are behind the Fair Food Program, there remain several major buyers who stubbornly refuse to do their part to improve farmworkers’ wages and working conditions — Wendy’s and Publix first among them — after profiting for decades from unchecked farm labor exploitation in their supply chains. Today, a new future for farmworkers not only in Florida, but across the U.S., is at stake — one in which workers themselves determine as well as enforce the human rights standards where they work. We need your help to make it happen. Join us on March 21st to march through the streets of St. Petersburg and amplify the call for farm labor justice at the 2015 Concert for Fair Food! This event was designed to provide equal opportunity for enjoyment by all participants. If you would like to request any particular aids or services pursuant to disability laws, please contact (239)-313-1081 or the City of St Petersburg Community Affairs Division at (727) 893-7345 or (727) 892-5259.